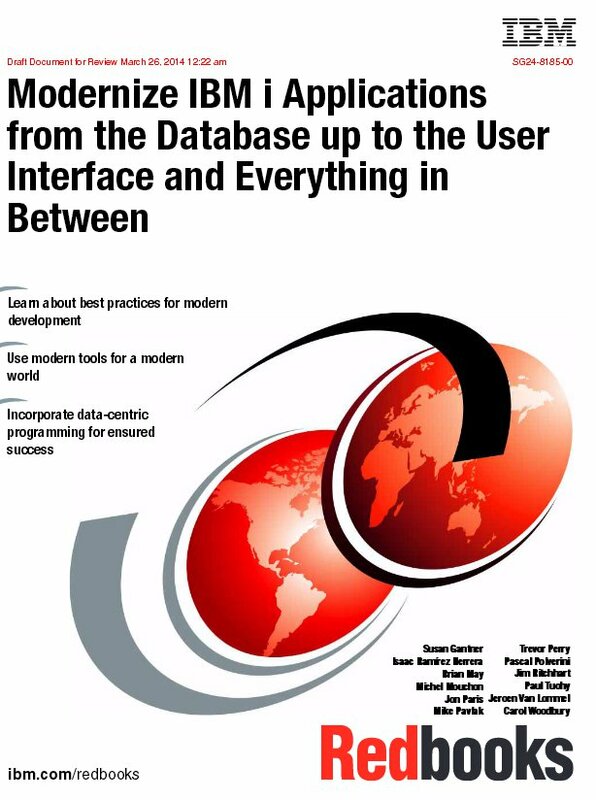 Today the long awaited redbook for application modernization on the IBM i has been published as a Draft version. Whether you are a old school RPG Developer or you have already started to modernize your applications this is the redbook to get a high level overview what possibilities are available on the IBM i to reach your goal. All topics like new tooling, new languages and new Syntax of existing languages on the IBM i are discussed in this redbook. The redbook gives you only an overview. If you want to go in the depth there are many links in the redbook which will guide you to the details.